Throughout the era of modern medicine, animals have been used extensively to develop and test therapies before they are tested in humans. Virtually every medical therapy in use today – including drugs, vaccines, surgical techniques, devices such as pacemakers and joint prostheses, radiation therapy – owes its existence, at some level, to animal experiments. Animals have played a pivotal role in countless life-saving discoveries in the modern era. For example, in crude experiments in the 1800s, dogs were injected with extracts made from the pancreases of other animals, which led to insulin therapy for human diabetes. Much more recently, genetically modified mice were used to develop revolutionary cancer immunotherapy drugs, such as that credited with curing advanced melanoma in AFL footballer Jarryd Roughead. In developing and testing drugs for human use, animal trials give us extremely valuable information that is impossible to get from test tube or petri dish experiments alone. They tell us how a drug is absorbed and spread around the body in a living animal and how it affects the targeted, and other, tissues. They also tell us how the body processes and eliminates a drug – for most drugs, this is primarily done by the liver and kidneys. These studies help decide whether to progress the drug to human trials and, if so, what a reasonable starting dose for a human might be. However, because of species differences, something that is effective and safe in an animal might not be so in a human. If you have cancer and you are a mouse, we can take good care of you. The compound, endostatin, went on to human trials and was well tolerated in patients. But its effect on tumour growth was minimal and inconsistent, and results were described as “lukewarm”. Endostatin has since been reformulated and shows some promise in managing certain cancers, especially when combined with other therapies, but it’s not the wonder drug it at first appeared to be. Scientific journal publications on animal studies usually include a disclaimer along the lines of “this effect has only been demonstrated in animals and may not be replicated in humans”. And with very good reason. A 2006 review looked at studies where medical interventions were tested on animals and whether the results were replicated in human trials. Another review found the treatment effect (benefit or harm) from six medical interventions carried out in humans and animals was similar for only half the interventions. That is, the results of animal and human trials disagreed half the time. 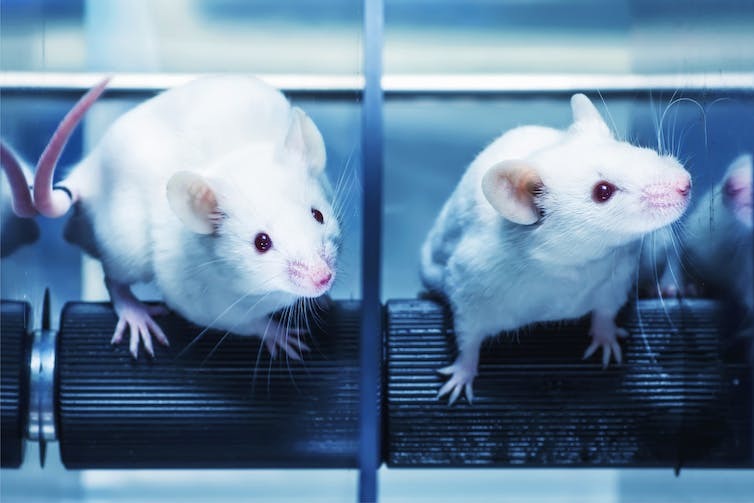 The mismatch between animal trials and human trials can cause big problems. Developing a drug to the animal trial phase is already incredibly expensive, but taking it to human clinical trials adds enormous cost, often tens or hundreds of millions of dollars. If a promising drug fails to impress in human trials, it can mean a lot of money, time and effort wasted. But far more problematic is a drug that seems safe in animal trials, but turns out to be unsafe in humans. The consequences can be tragic. 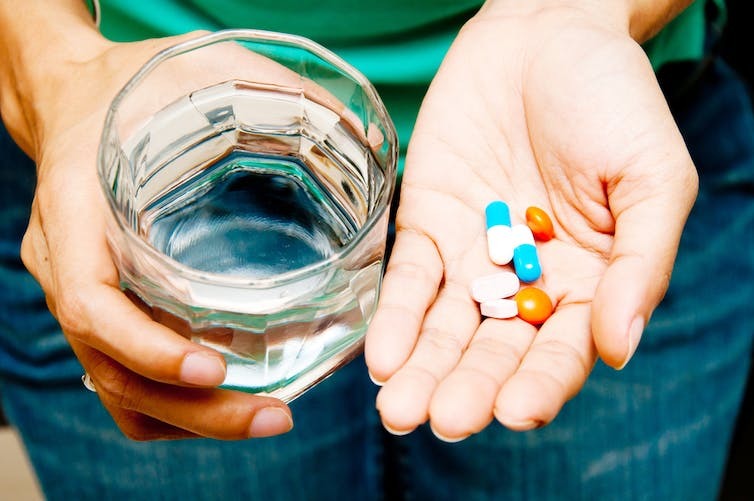 For instance, thalidomide (a drug to treat morning sickness) does not cause birth defects when given to pregnant rats and mice, but in humans it caused an international epidemic of birth defects, including severe limb malformations, in the 1950s and 1960s. More recently, a drug designed to treat leukaemia, TGN1412, was tested in monkeys – in many senses the closest laboratory model to humans – and was well tolerated. But when just 1/500th of the safe monkey dose was given to six healthy young men in the first phase of clinical (human) trials in 2006, they immediately developed fever, vomiting and diarrhoea. Within hours, they were in an intensive care unit with multiple organ failure. They only narrowly escaped death. Another drug, fialuridine, developed to treat people with hepatitis B, tested well in mice, rats, dogs, woodchucks and primates. But a subsequent human trial in 1993 caused seven people to develop liver failure. Five died and the other two were saved through liver transplants. So, why do human and animal drug trials sometimes disagree so spectacularly? It boils down to the way the body absorbs and processes the drug and the way the drug affects the body. Often these processes are the same or very similar across species, but occasionally they are different enough that a substance that is benign in one species is deadly in another. This will not surprise pet owners, who know a block of chocolate can kill a dog. Dog livers are poor at breaking down the chemicals caffeine and theobromine, found in chocolate, so it doesn’t take much for toxic levels to build up in a dog’s bloodstream. Similarly, a cat that ingests even a small amount of paracetamol is a veterinary emergency, as cats lack the liver enzymes required to safely break down paracetamol. Instead, they convert it to a chemical that is toxic to their red blood cells. Hindsight has taught us where the human and animal differences lie for thalidomide, TGN1412 and fialuridine, too. Rats and mice not only break down thalidomide much faster than humans, but their embryos also have more antioxidant defences than human embryos. In the case of TGN1412, at least part of the problem was that the drug’s target – a protein on certain immune cells – differs slightly between the monkey and human versions. The drug binds more strongly to the human immune cells and triggers a rapid release of massive amounts of chemicals involved in inflammation. And the reason fialuridine is toxic to humans is because we have a unique transporter molecule deep in our cells that allows the drug to penetrate and disrupt our mitochondria, which act as cells’ internal energy generators. So fialuridine effectively switches off the power supply to human cells, causing cell death. This transporter is not present in any of the five test animal species, so the drug did not affect their mitochondria. Despite the shortcomings of animal models, and the profound ethical questions around subjecting animals to suffering for human benefit – an issue that concerns all researchers despite their commitment to improving human well-being – animal experimentation remains an invaluable tool in developing drugs.